New Brunswick, NJ -- The state’s leading comprehensive biomedical research institute for childhood diseases, the Child Health Institute of New Jersey, has been awarded a $5 million grant from the Robert Wood Johnson Foundation. The funding will expand and enhance the core mission of the institute, which seeks to improve children’s health through the scientific study of pediatric illnesses, including asthma, type 1 diabetes and autism, for which New Jersey has the highest rate in the nation according to the CDC, with 1 in every 41 children diagnosed. The CDC also reports that asthma accounts for 14 million lost days of school missed annually and is the third-ranking cause of hospitalization among those younger than 15. The institute is part of Robert Wood Johnson Medical School, part of Rutgers, The State University of New Jersey, and worked closely with the Rutgers University Foundation to secure the grant. Dr. Rabson indicated that new investigators will likely be recruited in two areas. One of the goals is to expand research in inflammation and immunity, which include illnesses such as asthma, type 1 diabetes, pediatric lupus and juvenile arthritis. The institute also will recruit scientists to expand its studies of neurodevelopmental disorders, including childhood autism. The Child Health Institute will utilize the grant to strengthen its translational research program, also known as bench-to-bedside, which transforms findings from laboratory investigations into the development of treatment and prevention therapies, improving the care provided to children. Projects already established with pediatricians at the medical school will be enhanced, as will programs with the Bristol-Myers Squibb Children’s Hospital at Robert Wood Johnson University Hospital and PSE& G Children’s Specialized Hospital, which along with the Child Health Institute compose the children’s academic health campus in New Brunswick. According to Dr. Rabson, research is key to improving or preventing the symptoms of chronic conditions in pediatric populations throughout the country, but especially in New Jersey where rates of childhood asthma and autism are particularly high. A pilot grant program supporting novel investigations with the potential to become significant research projects is one of the initiatives being planned. As one of the nation's leading comprehensive medical schools, Robert Wood Johnson Medical School, part of Rutgers, The State University of New Jersey, is dedicated to the pursuit of excellence in education, research, health care delivery, and the promotion of community health. In cooperation with Robert Wood Johnson University Hospital, the medical school's principal affiliate, they comprise New Jersey's premier academic medical center. In addition, Robert Wood Johnson Medical School has 34 other hospital affiliates and ambulatory care sites throughout the region. 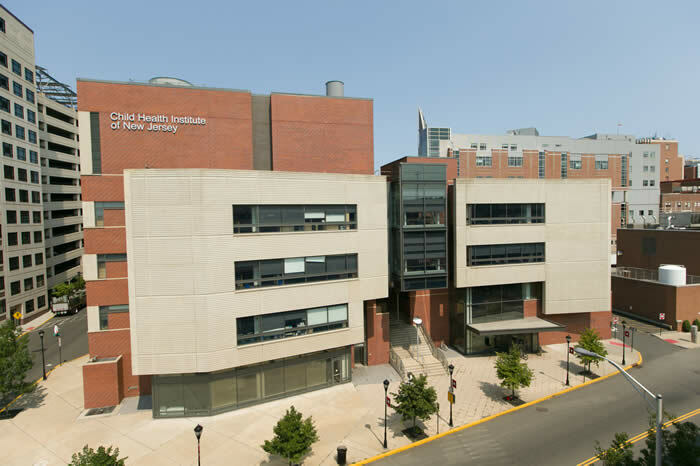 Robert Wood Johnson Medical School encompasses 21 basic science and clinical departments, and hosts centers and institutes including The Cardiovascular Institute, the Child Health Institute of New Jersey, and the Women's Health Institute. The medical school maintains educational programs at the undergraduate, graduate, and postgraduate levels for more than 1,500 students on its campuses in New Brunswick and Piscataway, and provides continuing education courses for health care professionals and community education programs. To learn more about Robert Wood Johnson Medical School, visit rwjms.rutgers.edu. Find us online at facebook.com/RWJMedicalSchool and twitter.com/RWJMS.